BEVERLY HILLS, CA (ANS)– When Bob Rieth was studying at a Minneapolis seminary back in July, 1963, he and his wife, Marion, decided to take some time off and get some light relief by watching “The Tonight Show” with Johnny Carson. But the show turned out being far from light relief, but it did change the lives of this couple and brought some much-needed light to Hollywood. 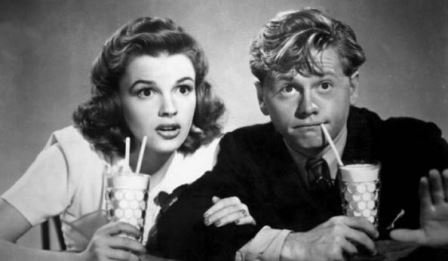 One of the guests that night was Mickey Rooney who, at the peak of his career between the ages of 15 and 25, made 43 films and co-starred alongside Judy Garland, Wallace Beery, Spencer Tracy, and Elizabeth Taylor. He was one of MGM’s most consistently successful actors and a favorite of studio head Louis B. Mayer. 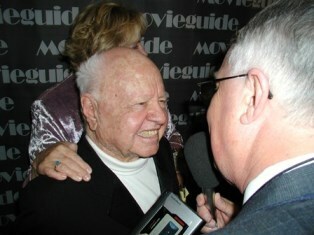 And, in an interview I did some time ago with Bob Rieth, this Lutheran pastor recalled that Mickey Rooney’s appearance on the show literally changed his life. “I was in seminary, and I would go to school in the morning, do my visitation in the afternoon, and then in the evenings, my wife Marion and I would take some time off for relaxation, and so I turned on the TV for ‘The Tonight Show’ with Johnny Carson, and suddenly Mickey came on,” he said. That event was the beginning of the launch of Media Fellowship International (MFI), a Christian ministry that works with people in the media and arts community in a confidential and non-judgmental manner, and which recently held its star-studded 18th Annual Praise Breakfast at the iconic Beverly Hills Hotel. “We provide a safe support group, where people can receive encouragement and Godly counsel, and have fellowship with other Christians in the industry,” said Rieth. Even though Bob and Marion Rieth had now moved to Seattle – a city that is some 1,129 miles north of Beverly Hills — he explained how MFI actually began. “I was now a pastor in Seattle and was asked to lead a Bible study for business leaders,” he recalled. “And from that, some of those men introduced me to other people, and I was asked to lead a Bible study for professional athletes, and then, eventually for media people in Seattle. Multiple groups meet regularly in Seattle, Nashville, and Atlanta with several groups meeting throughout the Los Angeles area. In addition, other MFI groups meet in several other areas including San Diego, New York, and DC. Quietly-spoken Bob Rieth, has, in recent years, become beloved by many in the Hollywood community, but he seems the most unlikely person to become a confidant to so many in the entertainment capital of the world. There is no razzle-dazzle with him, just a Godly and kindly manner. At this year’s event, I asked Pastor Bob, as he is known to his many friends in Tinsel Town, how this one had differed from those he had previously organized during those earlier days, and he replied, “As we meet year-after-year, it has become more solid and we have more people who have come here in the past so there’s the strength of those relationships,” he said. “Like with Michael Klausman [President, CBS Studio Center], our speaker today, who I’ve known him for 20 years. “So when you come together with people like that, the ministry has a real sense, and we also have new people come and see people’s lives being changed, but there’s a different strength every year. At this year’s breakfast, besides an inspiring talk about his faith by Michael Klausman, who is also Executive Vice President for West Coast Operations and Engineering at the CBS Studio Center in Studio City, California, and veteran entertainer, Pat Boone, paid tribute to two Christians who died last year – Natalie Cole, daughter of the legendary Nat King Cole, and Gospel singer-songwriter, Andraé Crouch. Also featured were Grammy award winners, Marilyn McCoo and Billy Davis Jr., with their wonderful gospel choir, Soldiers for the Second Coming, and the whole event was emceed by San Diego Christian broadcaster, Mark Larson, with Pastor Bob Rieth also sharing his heart with those there. For more information on MFI, please go to: http://mediafellowship.org/. 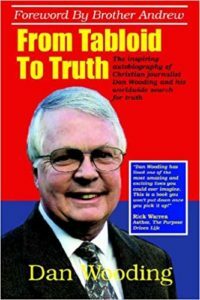 If you would like to watch the “Inside Hollywood with Dan Wooding” TV show about this year’s MFI’s 18th Annual Praise Breakfast, in which Pastor Bob Rieth, is featured, along with Dr. Ted Baehr, Founder and Publisher of Movieguide®, Tim Berends, the Las Vegas-based Christian broadcaster, and veteran entertainer, Pat Boone, please go to: https://www.youtube.com/watch?v=HmQk1SRV-Bc&feature=youtu.be. ** You may republish this or any of our ANS stories with attribution to the ASSIST News Service (www.assistnews.net). Please tell your friends and colleagues that they can receive a complimentary subscription to our news service by going to the ANS website.